MyMedicInfo » Medical Alert » Why have a medical app? Why have a medical app? It was Bette Davis who infamously quipped: “Old age isn’t for sissies.” And boy was she right! These days, navigating the world of healthcare can seem like climbing a mountain to get what you need. Yet, it’s not just the elderly who suffer with accumulating health concerns, medications and allergies. All of us at one time or another become consumers of healthcare. Were you born in a hospital? You became a consumer of health care as soon as you entered this world!! As a consumer of health care, you do your part to pick competent health care professionals. You trust them to provide quality care. Now you can prepare for your future visits and improve your communication with health care professionals with MyMedicInfo. We all hope that we are able to avoid health problems and unexpected accidents. Inevitably, the numbers say that it has to happen to someone. If that someone is you, you should be prepared. If a health incident befell you, how could you be sure that the EMTs and medical staff would know what medications you take and what allergies you have when the ambulance arrives? Since many of us are unprepared for this situation, the best the medical staff can do is guess. Do you really want others giving you medicine or treatment if they don’t know what prescriptions you are already taking? Many people, with known medical conditions and allergies, wear medical alert jewelry, such as a medical alert bracelet. Not a bad start, but in this day and age, we could certainly do much better. 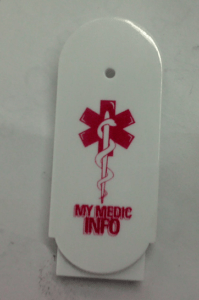 Enter MyMedicInfo. Imagine if you could keep all of your basic yet critical medical information in one place. Those medical facts could easily be amended, updated or deleted as needed. You could access your vital medical information from any computer, anywhere in the world. MyMedicInfo is your pertinent health facts. 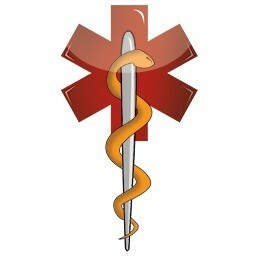 On the app is an image of the Rod of Asclepius, which depicts a snake wrapped around a rod, and is known as the symbol for medicine. Thus, it serves a similar purpose to a medical bracelet. In the aforementioned scenario of an accident or negative health event, EMTs, doctors, and/or medical technicians can learn of your current medications, allergies, conditions and much more. All of this key data compiled on your hand held app, now that is peace of mind! MyMedicInfo is an affordable way of being an advocate for yourself in the event of unforeseeable injuries, health events or accidents. The best person to communicate your health needs is you. Empower yourself and be an advocate of proper medical treatment in the event of an unforeseeable health problem. 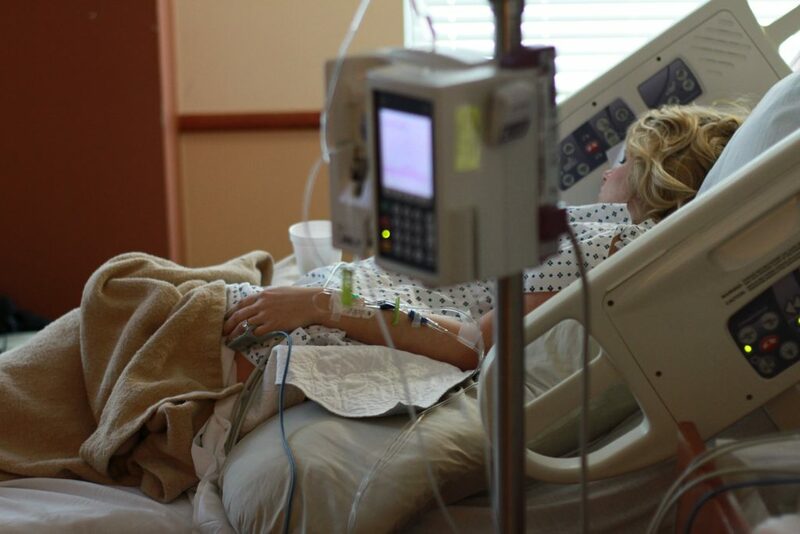 Being prepared for the next unexpected or scheduled health care encounter will decrease your odds of a preventable medical error. Get started with the MyMedicInfo app today. The service is free and you can upgrade at any time for premium features. Make a smart move and prepare for tomorrow. The benefits can be as minor as having a more satisfying medical encounter with your doctor to as crucial as saving your life! Tagged alert bracelet, medical care, medication, urgent care. Bookmark the permalink.